Mentally prepare yourself before you start. Each child is different when it comes to weaning from nursing or the bottle. Their reactions may cause you to either be elated or frustrated. So it’s equally just as important for you to be prepared as well for the journey. Before you start the weaning process, research and read up on all the different variables and outcomes that can come along with weaning. Understand what the next step is after weaning your child. While you may be able to wean them from the bottle or breastfeeding successfully, then what? If you don’t have a plan in place on what you’ll replace it with, your child could get frustrated very quickly. By being proactive and having a plan in place, you’ll ensure that your little one will transition as smoothly as possible. Prepare your own baby food for the best food experiences for your child. 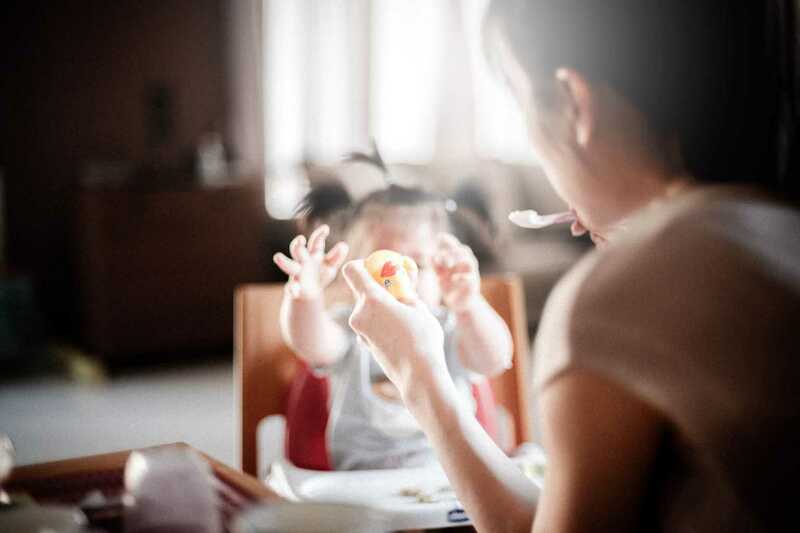 To help with successfully weaning your child, you will want to have some delicious and good food options waiting for them to try. A great appliance to make that happen? The Nutribullet Baby Food Blender. Not only does it allow you to make the freshest and best-tasting food options for your baby. But you literally just have to put the food items in the blender, press blend, and wait for the magic to happen. Once it’s blended to the consistency of your liking, you are ready to feed your little one! This food blender helps in making the weaning process a breeze! When it comes to the weaning process for you and your child, be prepared, positive and proactive in being ready. The more prepared you are, the more ready your child will be for the weaning process as well. Have fun deciding which foods you want to blend up for them to try. Use the weaning process as a fun way to let your little one experiment with all the wonderful tastes and flavours! Boo Roo and Tigger Too are giving one reader the chance to kick-start their little ones weaning journey with a Nutribullet Baby Food Blender to giveaway.